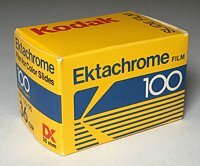 Kodak Alaris announces it will be reintroducing Ektachrome transparency film which had been discontinued in 2012. DJI introduces the Phantom 1 quadcopter which was one of the first (and most popular) ready-to-fly consumer oriented quadcopters designed to carry a camera (GoPro) for aerial imaging. Original Lytro consumer Light Field Camera introduced (plenoptic photography). Light field cameras allow the user to refocus the image after it has been recorded. 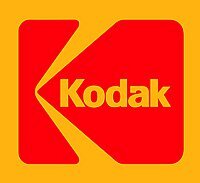 Kodak filed for Chapter 11 bankruptcy protection. 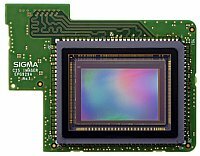 CMOS sensors start replacing CCD sensors in most consumer digital cameras. FujiFilm launched the FinePix Real 3D W1 camera, making it the first consumer 3D digital camera with a 3D viewer built in (not requiring special glasses to view). Nikon announced it would stop making most of its film camera models and all of its large format lenses. 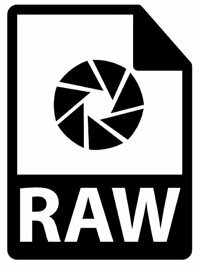 Adobe Systems launches the DNG RAW image format. 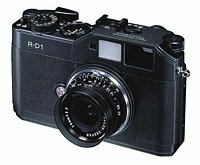 Epson announced the R-D1 digital camera, making it the first digital interchangeable-lens rangefinder camera to hit the market. It contained a 6 megapixel APS-C sensor, took leica M-mount lenses, and cost $3000. 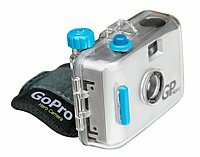 First GoPro 35mm camera produced. Contax introduces the Contax N Digital full frame (35mm format sensor dimension) digital camera. 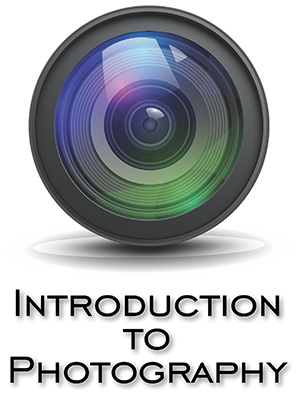 The Feveon 3X imaging sensor was first used in a consumer camera. Nikon releases the first removable lens equipped with vibration reduction (AF Zoom NIKKOR 80-400mm f/4.5-5.6D VR). 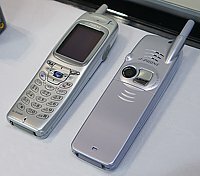 The Sharp SH04 (J-Phone) was the world's first mobile camera phone (110,000 pixels). 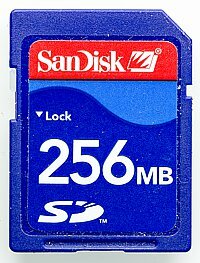 The Secure Digital (SD) memory card was introduced by joint efforts between SanDisk, Panasonic (Matsushita Electric) and Toshiba. 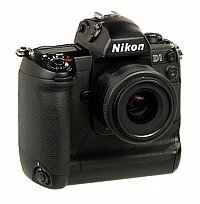 Nikon launches the D1 SLR (2.74 megapixel), the first ground-up DSLR design by a leading manufacturer. 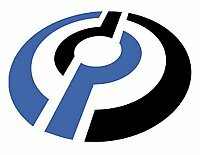 DPReview.com came online and continues to provide comprehensive reviews of digital cameras, lenses and accessories, buying guides, user reviews, and active forums for individual cameras, as well as general photography forums. Philippe Kahn publicly shared the first known picture via a cell phone. Kodak, Fujifilm, Minolta, Nikon and Canon introduce the APS (Advanced Photo System) cartridge system. 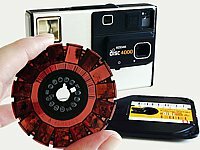 Kodak's DC40 (Apple QuickTake 100) becomes the first digital cameras marketed for consumers (0.38 megapixe). 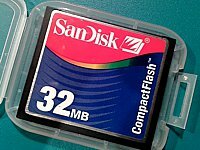 First Compact Flash (CF) memory card developed and launched by SanDisk. Nikon produced the first optical stabilized lens (a 38�105 mm f/4-7.8 zoom built into the Nikon Zoom 700VR camera). 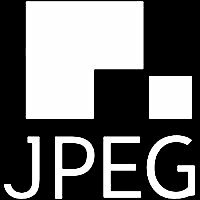 JPEG (Joint Photographic Experts Group) digital image compression standard was introduced. Kodak introduces the DCS-100 (1.3 megapixels), the world's first digital SLR (a modified Nikon F3). 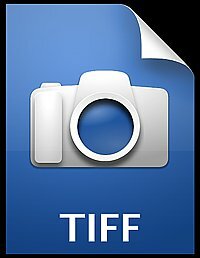 TIFF (Tagged Image File Format) revision 5.0 was released which added support for palette color images and LZW compression. The first TIFF version was introduced in 1986. 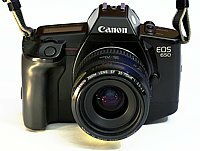 Canon introduces the EOS line of 35mm autofocus cameras. Fuji releases the first modern �disposable� 35mm camera called the QuickSnap. 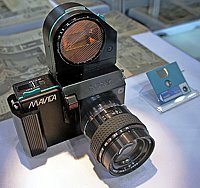 Minolta markets the world's first autofocus SLR system called the Maxxum. 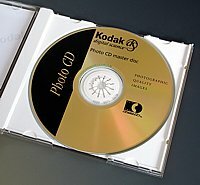 Kodak introduces the Disc camera and film. Sony announced the Sony Mavica as the world's first electronic still camera. 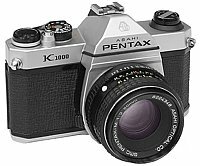 Pentax released the K1000 body which quickly became one of the most popular entry level manual 35mm SLR cameras of the time (selling over 3,000,000 bodies). The K1000 was a tough, inexpensive and almost all metal camera with manual shutter speed and aperture controls and a simple light meter. This simple camera was very popular with students as well as adventerous photographers. 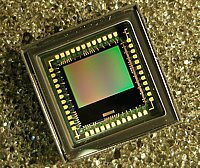 Steven Sasson, an engineer working at Eastman Kodak, created the world�s first digital camera (0.01 megapixels). 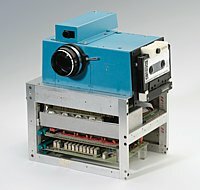 The camera (known as the Sasson Digital Camera) was created by combining available 8mm camera parts and a newly developed CCD sensor. It took 23 seconds to record an image to a cassette tape. 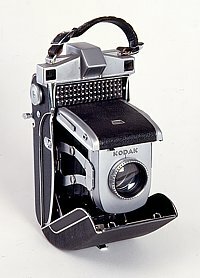 110 format cameras and film introduced by Kodak. 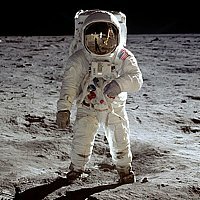 Astronauts Neil Armstrong, Buzz Aldrin and Michael Collins use specially modified Hasselblad cameras to record their historic Apollo 11 mission to the moon. The first ARPANET link was established between the University of California at Los Angeles (UCLA), Stanford Research Institute, University of Utah and the University of California at Santa Barbara. This was the foundation link for what we now call the Internet. The charge-coupled device (CCD) was invented at AT&T Bell Labs by Willard Boyle and George E. Smith. Asahi Pentax introduces the NOCTA camera which was capable of recording infrared images in total darkness. 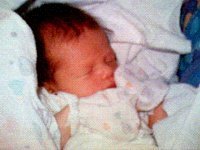 It used 35mm Kodak high speed infrared film, had a permanently mounted 300mm lens and the infrared illumination came from two infrared emitters located on either side of the camera. The rage of the camera (illumination distance) was said to be 91 metres (300 feet). Canon produces the world�s longest 35mm telephoto lens. This custom built 5200mm F14 lens is 6 feet long, weighs in at 200 pounds and has a minimum focusing distance of 400 feet. Only 3 were reportedly built. 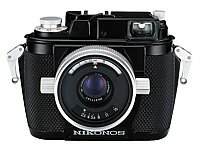 Nikon produces the Nikonos camera, the first purpose built underwater camera. 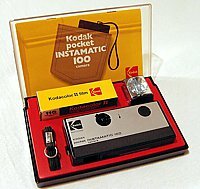 Kodak introduces the Instamatic 100. 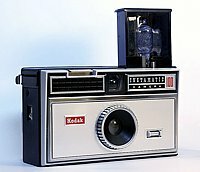 It used Kodak's new 126 format film and sold for $16.00. The Agfa Optima 1A was one of the first 35mm cameras offering fully automatic exposure control. Nikon F introduced. 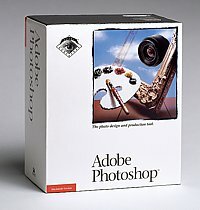 It was the first SLR system to be adopted and used seriously by the general population of professional photographers. 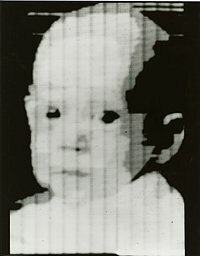 First digital computer acquisition of scanned photographs, by Russell Kirsch et al. at the U.S. National Bureau of Standards. 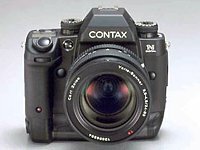 East German Zeiss develops the Contax S, first SLR with an unreversed image in a pentaprism viewfinder. Polaroid introduces Land Camera and instant black and white film. 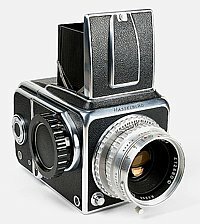 Hasselblad in Sweden offers its first medium-format SLR for commercial sale. 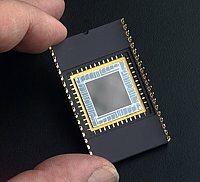 Harold Edgerton develops the Rapatronic camera; a high-speed camera capable of recording a still image with an exposure time as brief as 10 nanoseconds. 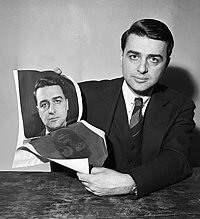 Edwin H. Land presents the first demonstration of the instant camera and film at the Optical Society of America meeting. 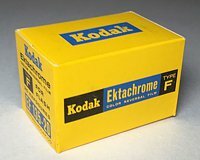 Kodak introduces the initial Ektachrome transparency process for sheet and roll film (E-1 process). 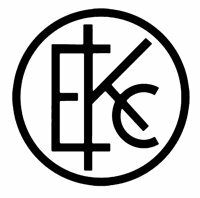 Ektachrome (E-6 process) was discontinued in 2012. The first color film that yields negatives for making chromogenic color prints on paper (Kodacolor). The first camera to feature automatic exposure was the selenium light meter-equipped, fully automatic Super Kodak Six-20 pack but its extremely high price (for the time) of $225.00 kept it from achieving any degree of success. Canon (then called Seiki-Kogaku Kenkyusho) introduces their first camera, the Kwanon. Because Canon did not have facilities to create their own lenses at the time it used lenses supplied by Nippon Kogaku Kogyo (which became Nikon). 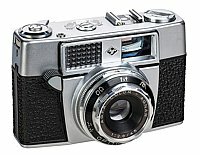 The Kine Exakta (Germany) was the first 35mm SLR still camera in regular production. Kodachrome transparency film is released by Kodak, the first multi-layered color film (discontinued in 2009). 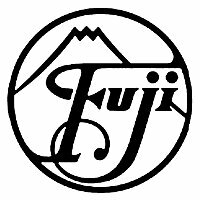 Fuji Photo Film founded and became the first Japanese producer of photographic films. Ansel Adams, Imogen Cunningham, Willard Van Dyke, Edward Weston, et al, form Group f/64. 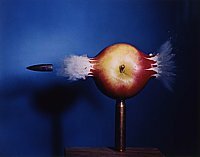 Harold Eugene "Doc" Edgerton, a professor at MIT, developes the electronic flash (stroboscope) which opens a new field of stop action photography. 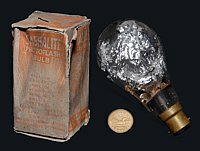 Manufactured flashbulbs were first produced commercially in Germany. First underwater color photograph was recorded off the Florida Keys in the Gulf of Mexico by Dr. William Longley and National Geographic staff photographer Charles Martin. 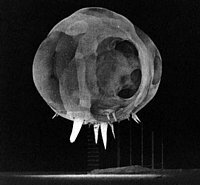 Equipped with cameras encased in waterproof housing and pounds of highly explosive magnesium flash powder for underwater illumination. First 35mm camera produced by Leica (designed by Oskar Barnack). Ernst Leitz (owner of Leica) authorized the production of 1,000 cameras. Nippon Kogaku K.K. 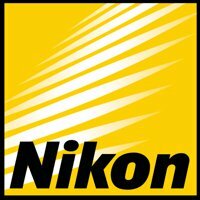 (Nikon) was established in Tokyo. 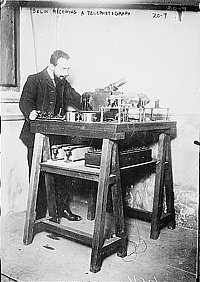 �douard Belin's Belinograph scanned photographs using a photocell and transmitted the image over ordinary phone lines (a precursor to the modern day FAX machine); this formed the basis for the AT&T Wirephoto service. 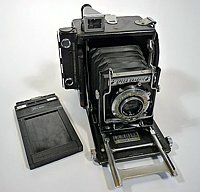 The Graflex Speed Graphic is commonly called the most famous press camera. The Speed Graphic camera gets its name from the relative speed of the built in focal plane shutter which had a maximum shutter speed of 1/1000 second. 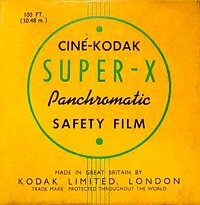 Kodak announces 35 mm "safety" motion picture film on an acetate base as an alternative to the highly flammable nitrate base. Kinemacolor, a two-color process known as the first commercial "natural color" system for movies, is introduced. First commercial color film (Autochrome plates) manufactured by Lumiere brothers in France. Agfa produces its first cinematographic film. 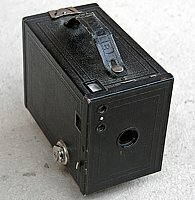 Kodak Brownie box roll-film camera introduced. This was the first camera to use 120 roll-film. The camera sold for $1.00. Over 150,000 Brownie cameras were shipped in the first year of production. Eastman Dry Plate Company was renamed Eastman Kodak Company. The letter K was a favorite of Eastman's; he is quoted as saying "it seems a strong, incisive sort of letter." Eastman said that there were three principal concepts he used in creating the name: it should be short, easy to pronounce, and not resemble any other name or be associated with anything else. 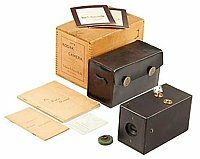 The first model of the Kodak camera was introduced. It was preloaded with a 20-foot roll of paper, enough for 100 2.5-inch diameter circular pictures. 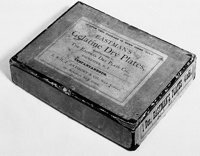 George Eastman sets up Eastman Dry Plate Company in Rochester, New York. Eadweard Muybridge uses a series of 12 cameras to photograph a trotting horse to settle a bet concerning whether all the hoses� feet were ever off the ground during a trot. 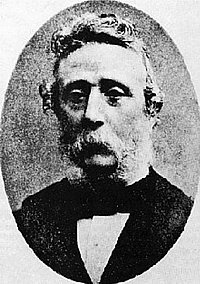 Richard Leach Maddox suggested in the 8 September 1871 British Journal of Photography article �An Experiment with Gelatino-Bromide� that sensitizing chemicals cadmium bromide and silver nitrate should be coated on a glass plate in gelatin; not long after the �emulsion� could be coated on celluloidroll film. Louis Arthur Ducos du Hauron published his practical processes for color photography on the three-color principle in "Les couleurs en photographie, solution du problem". Oliver Wendell Holmes created and deliberately did not patent a handheld, streamlined and much more economical Stereoscopic viewer. 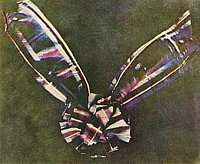 James Clerk Maxwell presented the world's first demonstration of colour photography (recorded by Thomas Sutton). 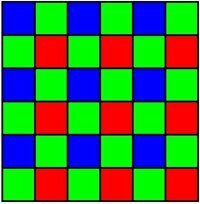 He photographed a tartan ribbon through red, green, and blue filters which were then projected simultaneously on a screen. 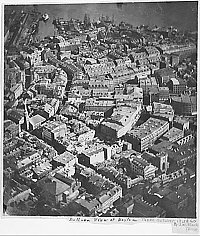 Oldest surviving aerial photo was recorded over Boston from a hot air balloon by James Wallace Black. 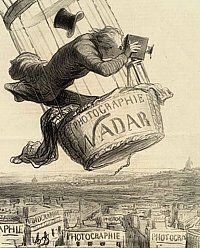 Felix Toumachon (Nadar) is thought to be the first person to record aerial images (from a balloon over Paris) and the first person to record images below the ground (Parisian Catacombs). "Boulevard du Temple", a daguerreotype made by Louis Daguerre, is generally accepted as the earliest photograph of a human (lower left of the image). 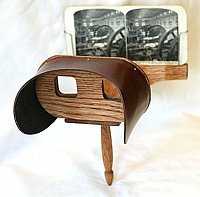 Sir Charles Wheatstone invented the earliest type of stereoscope. 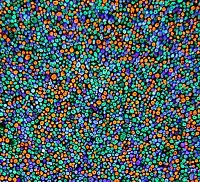 It used a pair of mirrors at 45 degree angles to the user's eyes, each reflecting a picture located off to the side. 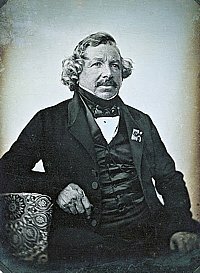 Louis Daguerre produces "Daguerreotype" images on silver-plated copper which was infused with silver iodide and developed with mercury. Daguerre is given a state pension by the French government in exchange for the rights by other French citizens to use the process. 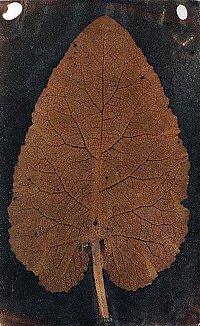 Henry Fox Talbot creates permanent (negative) images using paper soaked in silver chloride and fixed with a salt solution. Talbot created positive images by contact printing onto another sheet of paper. The earliest surviving camera photograph (heliographic image), known as "View from the Window at Le Gras", was recorded in France by Joseph Nic�phore Ni�pce. Thomas Wedgwood makes "sun pictures" or "photograms" by placing opaque objects on a surface treated with silver nitrate; these early images did not last long when exposed to bright light. 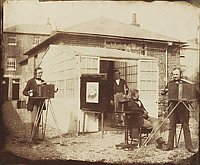 Wedgwood is the first person reliably documented to have used light-sensitive chemicals to capture silhouette images on durable media such as paper, and the first known to have attempted to photograph the image formed in a camera obscura. Leonardo da Vinci documents the first detailed camera obscura descriptions in his writings found in the Codex Atlanticus. The earliest written record of the camera obscura was by Mozi (circa 470 BCE-circa 391 BCE). Mozi documented that the camera obscura image is flipped upside down because light travels in straight lines from its source. Jeff Widener (AP photographer) photographs a Chinese man standing alone to block a line of tanks during the Tiananmen Square protest. 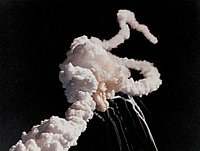 NASA records image of the Space Shuttle orbiter Challenger breaking apart 73 seconds into its flight. 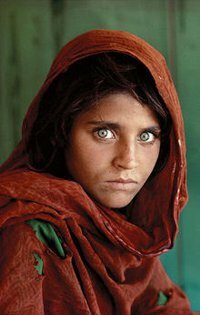 Steve McCurry (National Geographic photographer) photographs Sharbat Gula in Afghanistan, the image appears on the cover of National Geographic magazine the next year and captivates western viewers. Photographer Gary Rosenquist captures a series of photos of the massive landslide preceding the eruption of Mount St. Helens. Nick Ut (AP photographer) records an image of Kim Ph�c running down a road naked near Trang Bang after a South Vietnamese Air Force napalm attack. 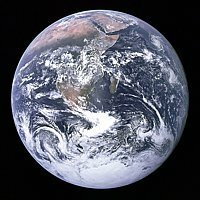 "Blue Marble"; the first high resolution photograph of the earth in full view. Recorded on December 7, 1972, by Apollo 17. 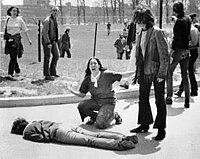 John Filo photographs Mary Ann Vecchio kneeling over the body of Jeffrey Miller minutes after he was shot by the Ohio National Guard during an anti Vietnam war protest at Kent State University in Kent, Ohio. 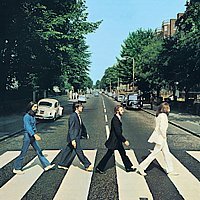 Image of the Beatles walking across a zebra crossing outside Abbey Road Studios in London. This image has become one of the most famous and imitated images in the history of recorded music. Neil Armstrong photographs Buzz Aldrin during the Apollo 11 moonwalk (Neil can be seen in the reflection of Buzz�s helmet visor). Joseph Louw records an image of the scene shortly after Martin Luther King Jr. was assassinated outside his room at the Lorraine Motel in Memphis, Tennessee. Eddie Adams records the Pulitzer Prize-winning image �Saigon Execution�. 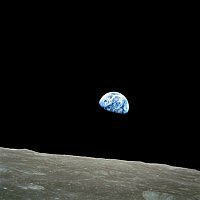 Earthrise was recorded by astronaut William Anders during the Apollo 8 mission, the first manned voyage to orbit the Moon. 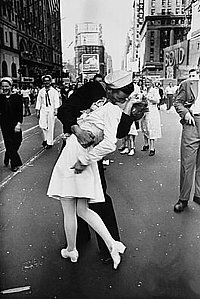 Alfred Eisenstaedt records a U.S. Navy sailor grabbing and kissing a stranger (a woman in a white dress) on Victory over Japan Day ("V-J Day") in New York City's Times Square. Marilyn Monroe poses for photographers while filming the subway grate scene in The Seven Year Itch. 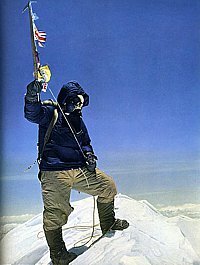 Sir Edmund Hillary records the iconic image of Tenzing Norgay on the summit of Mount Everest (May 29, 1953). 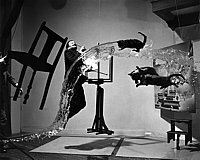 Philippe Halsman photographs Salvador Dal� in New York city and creates the iconic image �Dali Atomicus�. 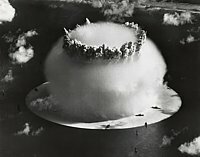 Nuclear test being conducted during Operation Crossroads off Bikini Atoll in the South Pacific. 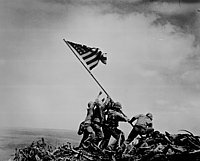 Joe Rosenthal records the iconic image of U.S. Marines raising the American flag on Mount Suribachi during the Battle of Iwo Jima. 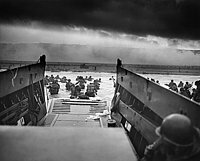 Robert F. Sargent records an assault craft landing one of the first waves of troops at Omaha Beach during the invasion of Normandy. 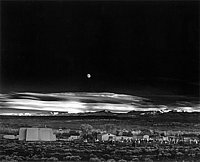 Ansel Adams records his popular Moonrise over Hernandez, New Mexico image. Iconic image recorded of the German passenger airship LZ 129 Hindenburg on fire during its attempt to dock with its mooring mast at Naval Air Station Lakehurst in Manchester Township, New Jersey, United States. 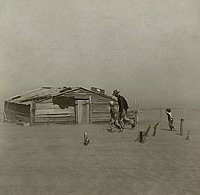 Arthur Rothstein recorded "farmer and sons walking in the face of a dust storm" in Cimarron County, Oklahoma. �Lunch atop a Skyscraper� (New York construction workers lunching on a crossbeam) is recorded during construction of the RCA Building in Manhattan, New York City. Frank Hurley photographs the HMS Endurance during Ernest Shackleton�s historic three year Imperial Trans-Antarctic Expedition. 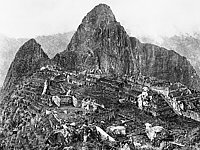 First image of Machu Picchu (covered in jungle growth) after its discovery by Yale archaeologist Hiram Bingham.